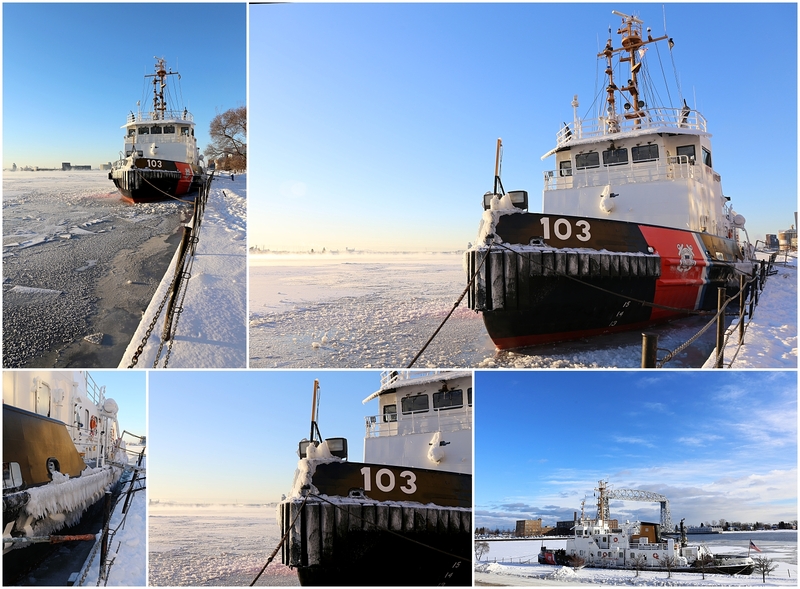 Last week’s subzero temperatures made for difficult working conditions for the USCGC Mobile Bay. 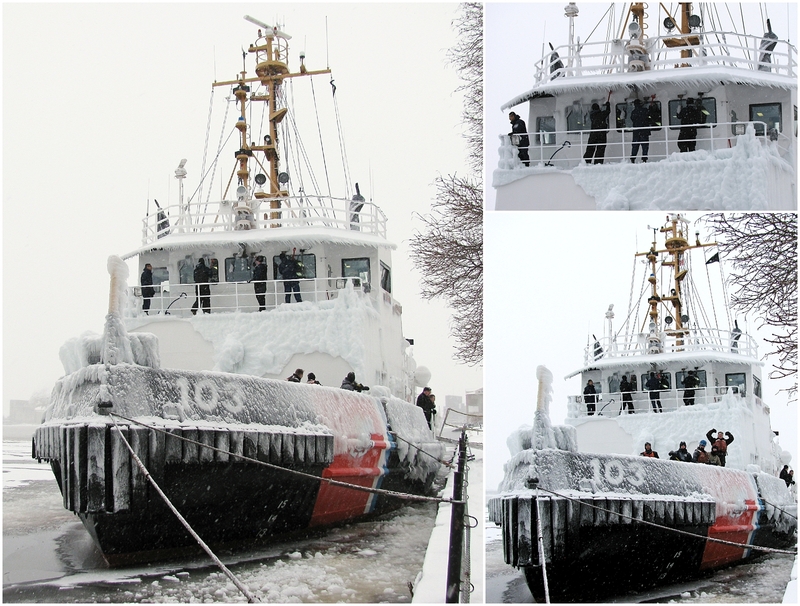 The crew spent a day chopping ice off the deck and exterior, before heading out on their ice-breaking mission. I would not want to work on that ice breaker!